Goodbye winter… Hello summer! Its time to ditch the parka and snow boots and throw on your swimsuit. Another thing you should think about ditching is your heavy makeup. This summer is all about embracing the minimalist makeup look and showing off your natural beauty. Yes, beauty products can be expensive... But they are an investment for your health. Saving a little bit over time can pay off! By getting the products you need, you can avoid the negative effects of the hot summer sun; breakouts, sun burns, smeared eyeliner, and melted foundation. By going minimal this summer, you decrease risk of skin irritation and you allow your skin to self-rejuvenate. Exfoliating removes dead skin to prevent congestion and build up and it improves hydration from toners and moisturizers. It is suggested that you exfoliate in the 3 times per week in the mornings before applying toner, moisturizers, SPF, or makeup. Exfoliating is vital to your summer beauty regimen because, makeup and other creams last longer on exfoliated skin! A perfect exfoliate for the summer would be these Trish McEvoy Beta Hydroxy Pads. They work for all skin types, can be used all over your body, and its paraben-free; gluten-free; fragrance-free. Just be sure to follow up your exfoliating treatment with some body cream to seal in moisture. One product I’m raving about right now is Trish McEvoy’s Beauty Booster Oil. It is a powerful skin reviver that instantly hydrates your skin for a radiant complexation. This natural oil can be added to your moisturizer, liquid foundations, or applied on its own. It is weightless and non-greasy so you can even apply it to your body and hair! It has a lot of Vitamin A and Vitamin C so you will instantly feel revived. Using a small drop of this everyday with your makeup base layer could really help your skin GLOW this summer. High temperatures and more time outdoors leads to internal dehydration. No one likes headaches and dizzy spells, so get chugging! I personally fill up a 34oz water bottle 3 times a day during the summer. When I’m drinking so much water, I notice significant decrease in acne and redness. Drinking plain pure water can also assist in detoxification. Just remember that if you drink caffeinated beverages, you must triple the amount of water you drink to balance and maintain your body’s normal moisture balance. Protecting your skin from sun spots and UVA/UVB rays is a must during the summer months. The obvious solution is to apply SPF. However, it is a total pain to have to wash your face and redo your makeup every time you want to reapply sunscreen. When you don’t have the time or the effort to start from scratch, grab a tube of powder Brush-On Sunscreen SPF 30. It provides sheer coverage and protection in a convenient, dust-on wand. Like the article titles suggests, less is more when it comes to makeup this summer. Everyone hates looking greasy and cakey and the one way to prevent that is to cool it with the products. If you can, just use a tinted moisturizer and concealer when you need it. Makeup likes to slip and slide around when its unforgivingly hot, so the best way to avoid that is to wear less! Invest a little at a time for luxury light makeup and be. a. minimalist. Even if you don’t admit it, everyone feels better when they are a little sun kissed. The sun and artificial tanning beds can lead to skin damage. That is why I suggest using a self-tanner! Clarins Liquid Bronze Self Tanner is perfect for when you want to get a tan fast. The liquid is milky, gentile, and packed with vitamins. 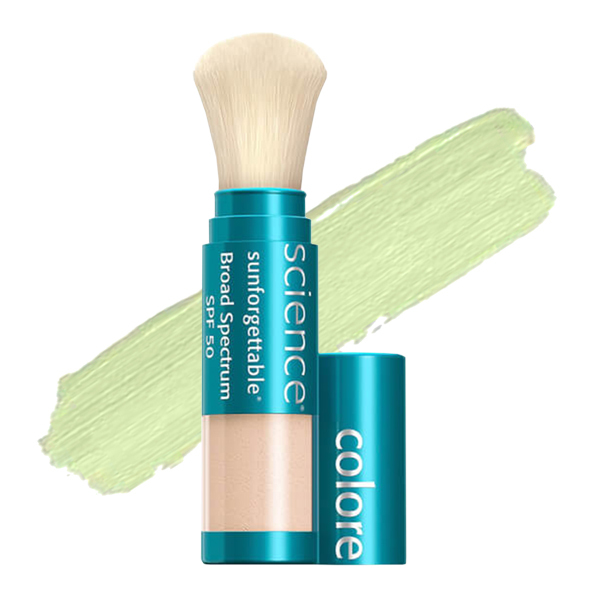 Its super easy to apply, it dries quick and its streak-free. The results are subtle, so the more you apply over time, the darker you will become. This ensures that you bronze realistically. Beautiful skin should not be exclusive to how much money is in your bank account. By making small deposits everyday, you could save enough in time to buy the products your need and start your new beauty regimen by the first day of summer! Why not start now? ROTM: Hanna, the vintage style guru!